Recently I attended a PIHC workshop on cycling nutrition & hydration. Part of the night involves door prizes and other random giveaways. 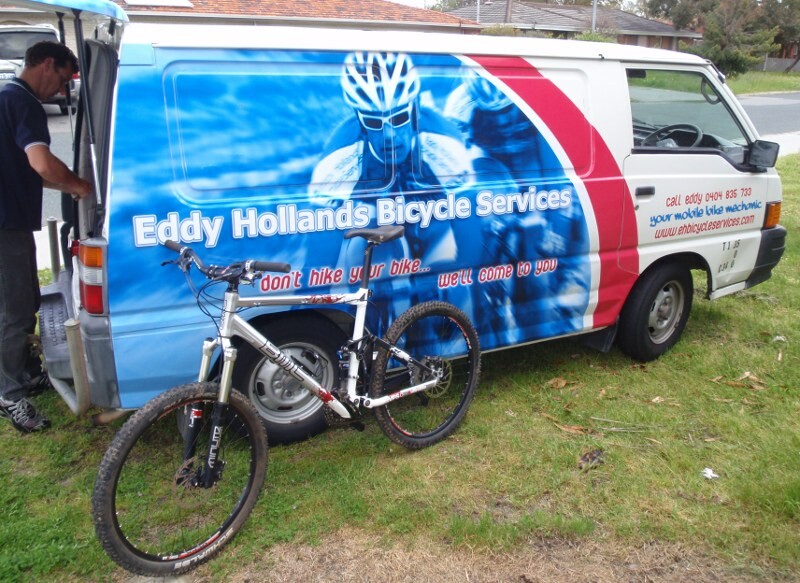 I managed to win a free bike clean on offer from Eddy Holland’s Bicycle Services. The prize of the night was Bont shoes which went to the guy next to me, damn it (I needed those as i had just broken mine – see Broken). 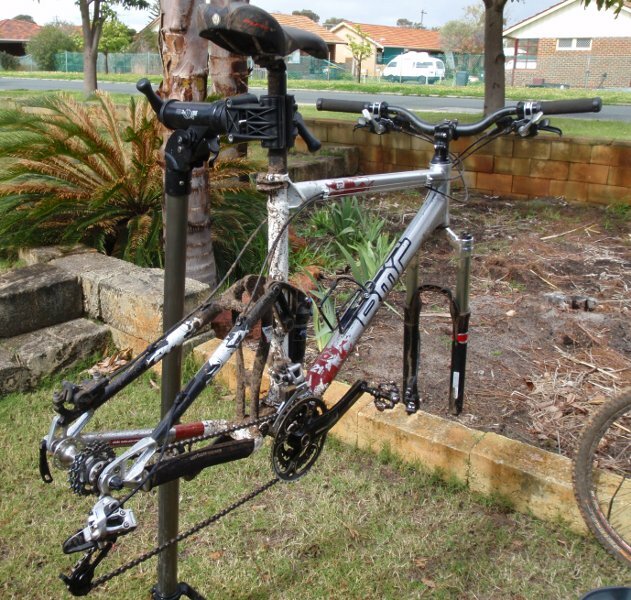 With the Dwellingup 100 this weekend and having just done a training ride on sunday the mountain bike was in need of a tune up and clean, what better time to take advantage of this great prize. I phoned Eddy on the Monday night and was able to book an appointment for Tuesday morning, Bonus!! Eddy rocked up on time and ready to go, I’m not sure he realised the state of my ride before hand, and given most of his clients usually have road bikes, mine was nice and dirty. He got to the task and had the beast tamed within an hour. The most notable area of cleanliness was the rear cluster after a few wet, muddy rides this had built up a nice dose of crud, but now looks as new. All in all a nice job done considering the original state. Next time I might be nicer and let him have a go of the roadie, minus mud. So if your time poor, lack the skills or just lazy, give Eddy a call to come tune your ride and keep it on the road. He does the job onsite so no need to worry about getting it to and from a shop. This entry was posted on 16 September, 2009 by Fairy. 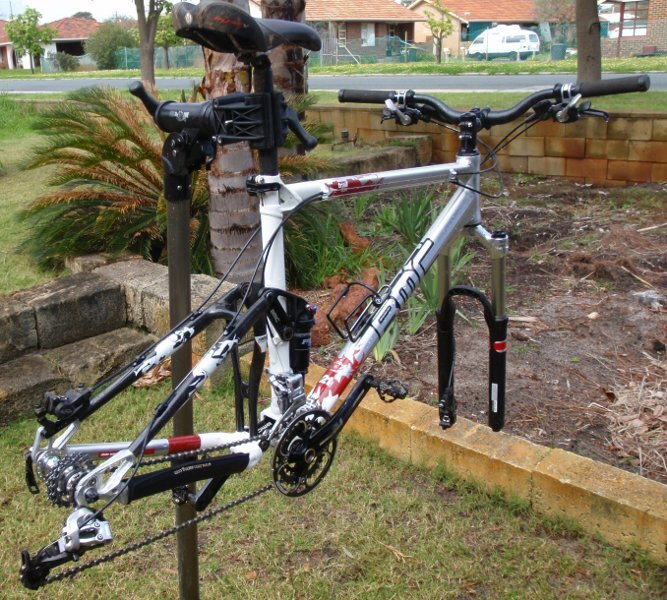 It was filed under MTB and was tagged with Cycling, MTB, muddy, perth. Do you have any ideas on pricing. I bought a cleaning kit recently online with all the brushes etc needed and I have to day the tcr came up looking a million bucks. Might get him around though and just watch him goto work so I’ll know for next time. If I recall, its $50 for the clean & safety check, $80 for the basic service and not sure after that. 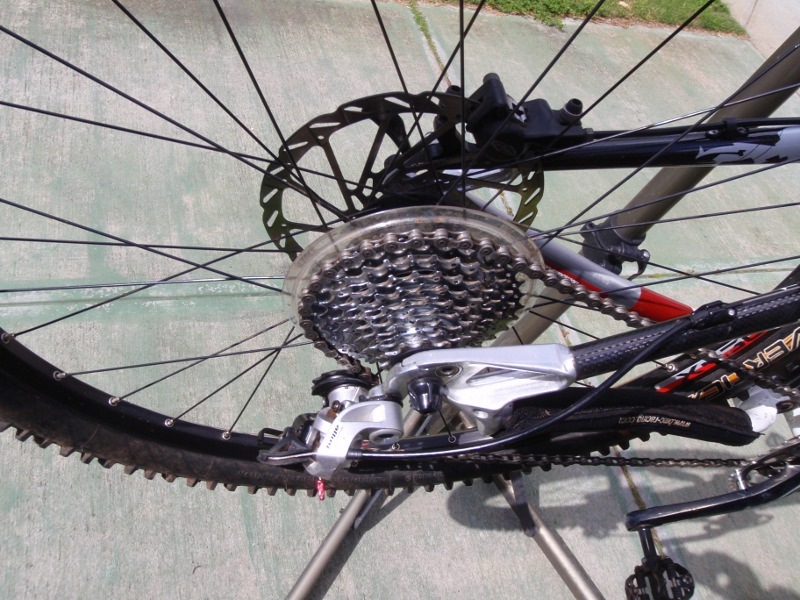 I also grabbed a chain cleaner last week and after seeing how it came up I will def be doing it more often, especially the MTB bike. I normally do cleans myself and then take it in for a service, but slowly learning to service some parts myself, shocks I’ll leave to the shops. Must keep Eddy in mind for future major services.